If you saw my post with 7 free BW skip counting puzzles, then you'd know my Thanksgiving had a little bump in the road regarding our Christmas tree. But I have good news! My husband resurrected it from the dead- at least for the time being :) It still needs to be replaced, as one of the wires is broken. The middle half of our tree doesn't light, but with all of the decorations you can't even tell. Funny thing is he said it was like that last year, but I don't remember that! We are hoping to find a good deal on a tree after Christmas. 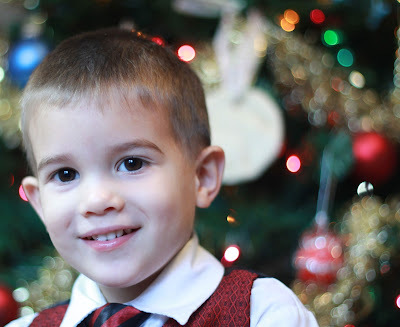 So Saturday morning, before the clouds rolled in and totally killed my opportunity, I dressed up my boys and snapped some of their Christmas pictures! It truly was a Christmas miracle. I had little hope that my children would cooperate without Daddy home, but they did! Dressy pictures of the boys- check! 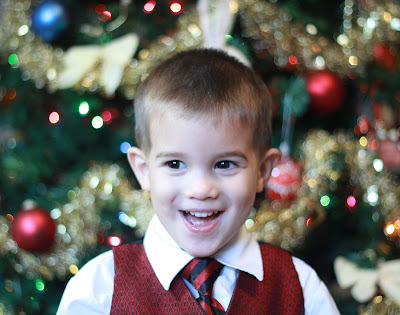 Then it was time for their pics in their Santa jammies! I wasn't originally planning on getting Santa hats for the boys, but the idea came to me at the last minute. Dad picked them up at the Dollar Tree! Score! Boy, am I glad those are done! With their baby brother or sister to arrive any day now, I had to get those done asap! Now on to your freebie! Today's freebie is similar to my addition mats. Each mat includes one large grid. Really, it is two grids overlapping. On the left are one set of tables, and on the right are a different set. I went in order starting with the 2's tables through 9's. Meaning the 2's and 3's are on the same mat, 4's and 5's on another, 6's and 7's, 8's and 9's, and then the 10's and 11's. But after I did all of those I forgot all about the 12's tables! So, even though I didn't originally want to make a mat for the 1's tables since they are so easy, I had to have another table conjoined to the 12. Therefore, the last page consists of the 1's and 12's tables together. Forgive my disorganization there, but I don't think anyone will mind too much! Each mat (page) has a different theme. The themes are birthday, ice cream, pre-historic, monsters, breakfast, and gardening! Inside each square is a cute clipart with a product. On the page following each mat is another large grid with one image to match the theme and a multiplication problem. There are MANY ways to use these, and I gave a few suggestions when I posted the addition mats. 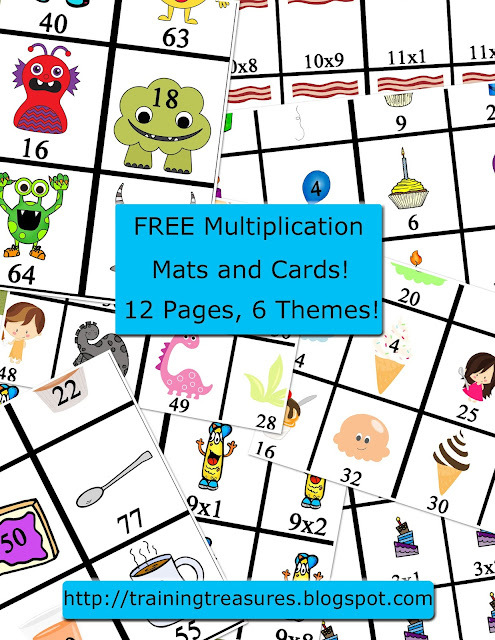 You can find these FREE multiplication mats here. 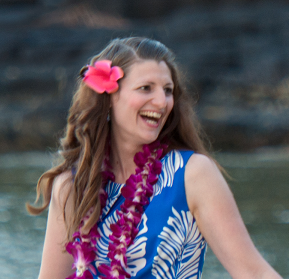 Also, these were designed to be printed in landscape, not portrait, so don't forget to check your settings! I have made similar mats for subtraction too (different themes! ), so be sure to Subscribe by email to receive updates!